I saw this interesting story on the news last night. There are controversial TV and billboard ads running in Georgia about the childhood obesity epidemic running rampant in that state. Some people say the ads are too harsh. That they are too mean. That they only blame the parents when others should share that blame. I think people need to have this problem thrown in their faces. I think parents need to realize that they are responsible for what their children eat and their children's level of activity. Sure, big bones and being large runs in families. But that does not account for the 40% of children in Georgia that are considered to be obese. 40% of them don't have bad genetics. They have bad habits. And something needs to change. 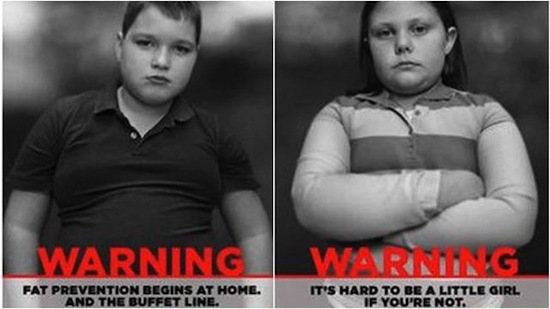 Hopefully these controversial and harsh ads help wake people up about the growing epidemic of obesity in this country. Do you think these ads are too harsh? Nope. Not at all. I completely agree with you on this. I'm shocked at the billboards not for what they say, but that someone had the nerve to step up and finally put that message out there. I can see how as a parent it would be hard to accept that your child is overweight, but to me it seems the more difficult part is accepted responsibility for your child's health. It's so sad to me that something so controllable, and something that will have lifelong and potentially life-ending consequences for our children has been brushed under the rug for so long. Hopefully this will have a positive impact! NOT too harsh! I think more parents need the reality check! You will be great at staying home with the new baby!! 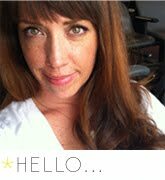 I hear from Amy that there are a lot of "mommy" groups in the Boston area. Here in Roswell, there isn't much... no mommy groups, and not really other children that I want Dylan hanging out with... (Our first experience with another 3 year old the kid pee'd on him). I know you will miss working a little though... I do! I miss that interaction with other adults, and miss the feeling of accomplishing something other than housework! :) If I haven't said it enough, I can't wait for your little one!! Have you picked out names?? Not too harsh. Education starts at home. Our eating habits are modeled after our parents primarily. I would like to see a similar public health initiative in all states. They didn't last last long here in Georgia but I really appreciated them while they were up. When I first moved to Atlanta, I served until I found a job in my field. I was shocked and appalled at how many parents would order their toddlers cokes, sweet teas and even diet sodas (ignorantly thinking that was better). In Vermont, where I'm from- that would almost be unheard of. It's sad that child obesity is such a problem and I'm honestly sick of the excuses!